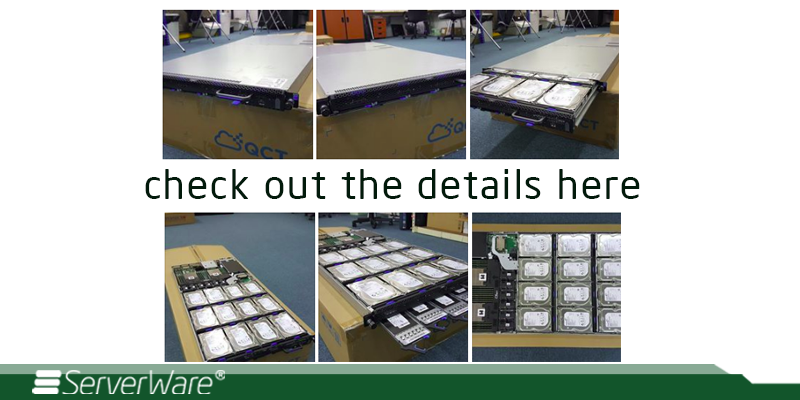 Built up to 96TB RAW Storage with 4 x 2TB SSD for better IOPS performance. Support this with LSI 3108 Hardware RAID. Compute it with dual E5-2600V3/4 intel® Xeon Processors and Connects it with 2 x 10GBE Intel® X540 Network Ports + 2 x 1Gbe i350 Network Ports. Even manage it remotely with a secured IP KVM port. The ServerWare® SG1NV comes with Techdos Cloud Based Server Monitoring Services to give you confidence in performance. Monitor your servers 24/7 Free of Charge. * one year only. 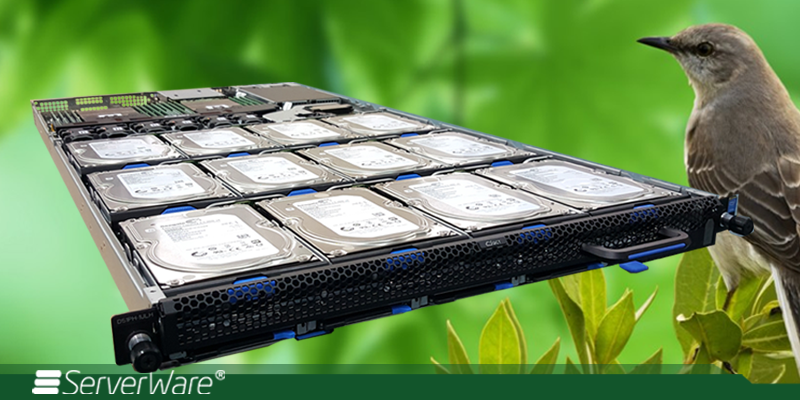 The ServerWare® SG1NV comes with 12 x 3.5″ Hotswap storage and 4 x 2.5″ SSD Hotswap to support caching or tiering in a 1U Form Factor. Integrate 2 x E5-2600V3/4 Intel® Xeon Processors for optimum performance and up to a whopping 512GB of memories. Integrated with LSI 3108 Hardware RAID Controller Supporting 12G SAS3 raid controller and RAID Level 0,1,5,6,10 you are assured of a truly high capability and highest density performance. More confidence with a total thermal and acoustic validation to assure the best quality ServerWare® SG1NV is fitted with a redundant power supply for continuous operating conditions. 3 Years Parts Warranty Back To Bench.